Morgan Smith is a freelance writer and photographer whose work can be found in the Denver Post, Santa Fe New Mexican, Denver Business Journal, New Mexico Business Journal, El Paso Inc., New Mexico Mercury and La Voz Colorado among others. Juarez has a reputation as an impoverished war-torn city and yet you’ve written about and visited places like Vision in Action, El Árbol de Vida, and Reto a la Juventud. What do you think about the fact that such places exist in the midst of such violence and poverty? What I discovered some five years ago is that there are a handful of very heroic and dedicated people who are committed to helping others, no matter what the danger to them might be. My first encounter was with a Mexican woman named Martina Ontiveros who had lived in Santa Fe but went to Palomas to live in and volunteer at an orphanage named La Casa de Amor Para Ninos. When I asked her if she was afraid – it was very dangerous in Palomas at the time – she simply said that this was her mission. The same is true for people like Elenita Porras at Reto a la Juventud or Pastor Galvan or Dr. Vicente Pantoja or many others I have met. It’s their personal dedication that keeps these programs going. What stands out to you the most when you visit such places? Why? The physical conditions of these places is usually not what we would expect in the US but the spirit and the sense of optimism and caring is always extraordinary and I very much enjoy being a part of it and also trying to publicize it. Through the years, how has the government’s involvement changed, if at all? Has there been an increase in donations and awareness through the media? I don’t see any additional government presence in the areas I go to. Traveling through poor colonias in Juarez, for example, I just don’t see the presence of whatever social services they might have. Pretty much all I see is the presence of these private, non profit humanitarian groups. That’s a neutral comment, suggesting, for example, that the government does little for the poor. 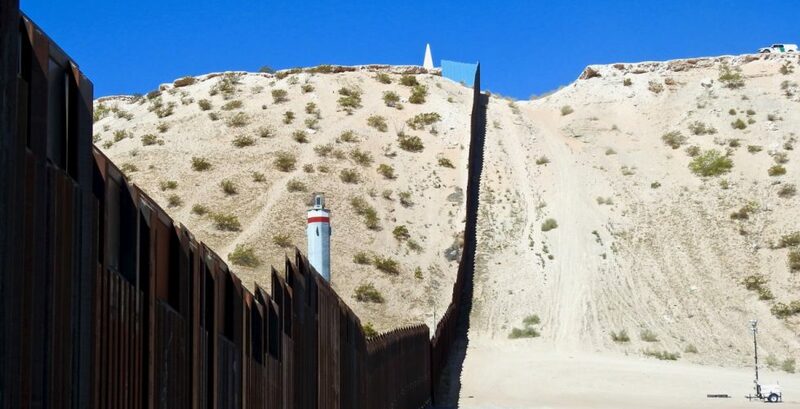 On the negative side, one on going frustration is the way the Mexican customs officials hinder the work of these organizations by often blocking them from bringing in food or clothing or building materials for housing construction. Have you ever seen or heard of a place like Vision in Action? What is it about patients caring for one another that seems to work in this case? I have probably visited Vision in Action 60 or 70 times in the last 4 plus years and am always amazed at how effective many of the patients – some like Elia who can’t even talk coherently – are at calming and consoling others. It’s evidence that even people who are deeply disturbed or have committed serious crimes can and do respond to affection and an environment of caring. This is an important lesson for our US mental facilities where there are very strict rules about patients are allowed to do. The basis of this is Pastor Galvan and his insistence that his patients be treated with dignity and the many things he does to treat them as we would treat people without illnesses. For example, I was there on February 14 when several patients got married. Do you think if organizations like Vision in Action had governmental aid that they would sustain the system as is? What you seem to be most in awe of is how the patients help each other but if more money were to come in that would probably change. How do you feel about that? I was a member of the Colorado House of Representatives many years and Chairman of the budget committee. As a result, I came to know many state programs in the social services area. Although funding was always important, what set the really good ones apart was leadership, not money. Vision in Action would stay the same if it had government support but only if it had the leadership of someone like a Galvan. How do you find that leadership? That’s the tough question. Last, I would add that these characteristics – providing work which makes people feel productive, organizing the same kinds of events that “normal” people have such as the wedding I mentioned, showing affection, focusing on dignity – seem intangible as compared to, for example, therapy sessions in US facilities but they work. So Galvan is not only responsible for the survival of his patients but he has also given us some new insights on what it takes to change human behavior. This week’s guest posting is from Megan Cullip. A chaplain and mental health professional, she wrote this reflection on her time spent at Vision en Accion, the shelter for homeless, mentally disabled people in Juárez, Mexico. In 2008, when I was in my junior year of college, I saw a YouTube video about El Pastor, a man in Juárez, Mexico who had built an asylum in the Chihuahuan desert for those who are drug addicted, mentally ill, or developmentally disabled. I had a lump in my throat within three minutes of the video. I always had both an intellectual fascination and a tender-heartedness toward people with atypical brains. El Pastor, in the video, said that people referred to the residents at the asylum as: “human trash.” But what I saw, when I went there, was far from a dump. Fast-forward about six years, the mental asylum in Juárez had been cemented in the back of my mind for some time. I had a deeply passionate compulsion to go. I work in a state psychiatric hospital in the United States. We serve a wide variety of individuals with a spectrum of mental health issues: schizophrenia, bipolar, major depression, substance abuse, personality disorders. Because we are a state institution, we receive ample government funding. We are a multi-million dollar facility with about 1,200 staff members and, on average, 420 patients. We have professionals with lots of education and specialized experience. We have access to enough meds for everyone to receive whatever dose the doctor deems necessary, daily. But we have codes daily. We have much conflict, patients fighting patients, patients fighting staff, patients harming themselves. We consider emergency restraints, where a patient has to be restrained in a chair or bed, “a treatment fail.” And it is. Our patients are scheduled to attend groups throughout the day: psycho-education, medication management, spirituality group, individual counseling, music therapy etc. But the patients rarely work with their hands, though some do get the opportunity to work in the greenhouse or the copy center. Thankfully we haven’t had to install the best selling SAD lights we used in more norther climates to help with winter blues, there are definite perks to working in the south! Vision in Action has done something incredible without having millions of dollars to spend, nor teams of specialized professionals. I remember walking into the kitchen at the asylum. I was immediately handed a spicy dish of pork smothered in sauce and a plate of cheese quesadillas. Every morning, afternoon, and evening, the ladies and gentlemen who worked in the kitchen would offer me food-refried bean burritos with avocado slices, bottles of soda. They delivered their hospitality and quality cooking with broad smiles. They make 360 meals a day, and they don’t work in shifts. During the day, people are working. They are cleaning, cooking, building, helping other low functioning patients perform their daily living tasks. When I was there, a new patient named Monica was dropped off from the local hospital. The other patients were at the gate waiting to receive her. She was placed in a cell for observation. She was despondent, when I asked her how she was. Monica appeared the same way many of our patients do upon their arrival at the hospital. But, as I looked around at the other patients at Vision in Action, I saw Monica’s potential. Monica would not meet with a treatment team. She would not be scheduled for groups. But I would not be surprised if, as I write this, she is putting her hand to cleaning, or laundry, or any of the other options. I wouldn’t be surprised if another patient is making friends with her and helping her adjust to this strange place of dignity and hospitality in the desert. I had the privilege to speak at length with the medical doctor who works hard (for free) to try and give the patients the best quality of life possible. He showed me the supply of Haldol and Klonopin and other psychotropic medications that he locks in a tiny room in the asylum, out of reach from patients. If I were to take my own personal medicine cabinet, stuff it with psychotropic meds, and multiply it by three, that would be the maximum amount of medication that I found at the asylum. It was clearly not enough for 120 people, and definitely not enough for a consistent daily medication routine. The doctor told me that sometimes he has to cut one Haldol pill in half to serve two patients. It’s not enough. It’s inconsistent. There is not a doubt in my mind that medication is helpful. And Vision in Action lacks the appropriate amount. But there is also no question about the “success” (if you can ever talk about success when you talk about people) of this asylum. I did not see misery there. I saw sickness and poverty, yes. But I saw joy and community. I saw faith. I saw people who poured themselves out for others. I saw an energetic man in black slacks and a black blazer, named El Pastor. I saw him share the story and fundraise and care for his people, everyday crossing the border, praying to Jesus. Rabbi Abraham Heschel, when he marched to Montgomery during the civil rights movement, said: “I felt my feet were praying.” This is what I saw El Pastor, and all of those who help Vision and Action, doing. Throughout the week I met many people involved in many different things: art dealers, curious givers, and a man with a landscaping business building an irrigation system for the asylum on his own dime. These people came and went, like the wind passing through from different directions. My last afternoon at the asylum, a pastor from Oklahoma came to pick up blankets. The asylum had extra blankets that they wanted to donate. The pastor from Oklahoma was going to take these blankets to natives on a reservation, who lived in caves. The poor were donating to the poor. Raúl, a teenager with teeth like a shark, bites part of another boy’s ear off. Milena, a beautiful 21-year-old woman can’t stop sobbing. She was raped after leaving work in one of Juárez’s infamous maquiladoras. There’s someone wailing in a caged room. Outside, in the sunlit cement patio, a young man flashes a toothless grin while an elderly woman brushes the same floor, over and over again. 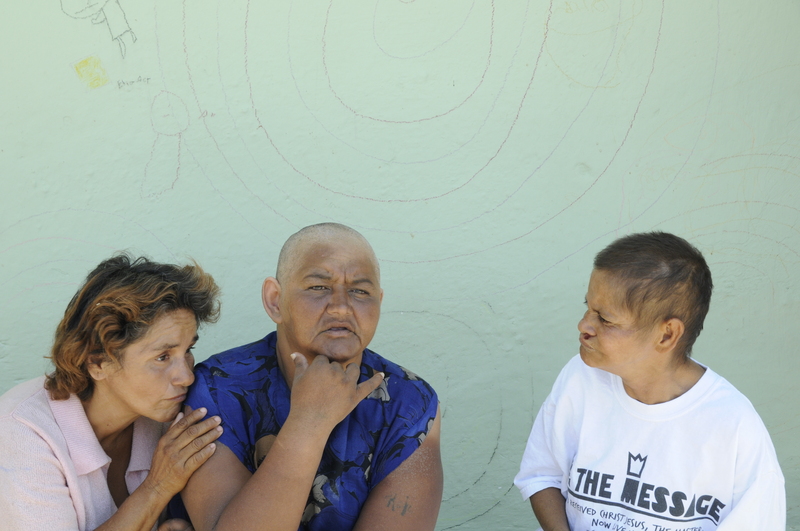 Welcome to “Visión en Acción,” a mental asylum in the Juárez desert run by its own patients. Mark Aitken, a London-based filmmaker, spent several weeks living in the asylum – capturing the daily lives of people with varying degrees of mental health disorders. Outside the asylum, the desert scenery is strewn with abandoned tires, discarded plastic bags and homeless dogs rummaging in garbage. What Aitken saw inside the asylum was “something out of your darkest nightmares,” he says of his time filming people who had at one time or another experienced extreme trauma and violence. 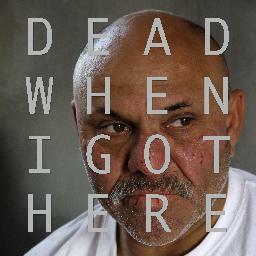 Yet what he captures in “Dead When I Got Here” is hope and compassion in the most challenging of circumstances. “I learned that upsetting people with extreme imagery was going to compromise any possibility of empathy” he said. Josué Rosales, a former heroin addict, was brought to the front gates of the asylum on a stretcher, his fingers black with gangrene and “nearly dead” when he got there. After months of recovery Rosales now manages the asylum with a compassion he never knew he had when he was taking drugs or sleeping rough. The asylum was founded by Pastor José Antonio Galván, a swashbuckling, born-again Christian, who now dedicates his life to picking up people most of us would turn away from. The asylum runs on about $10,000 USD per month of fundraising money to feed and house its 100 plus patients. Apart from revealing the drudgery of maintaining an asylum in the Chihuahua desert, Aitken’s lens exposes the devastating consequences of decades-old government corruption, impunity and neglect – where the poor and destitute fend for themselves, their plight worsened by Juarez’s drug-related violence. Many of the people who end up at the asylum have experienced the worst of Juárez. There are women who were gang raped, left for dead and dumped in the desert. 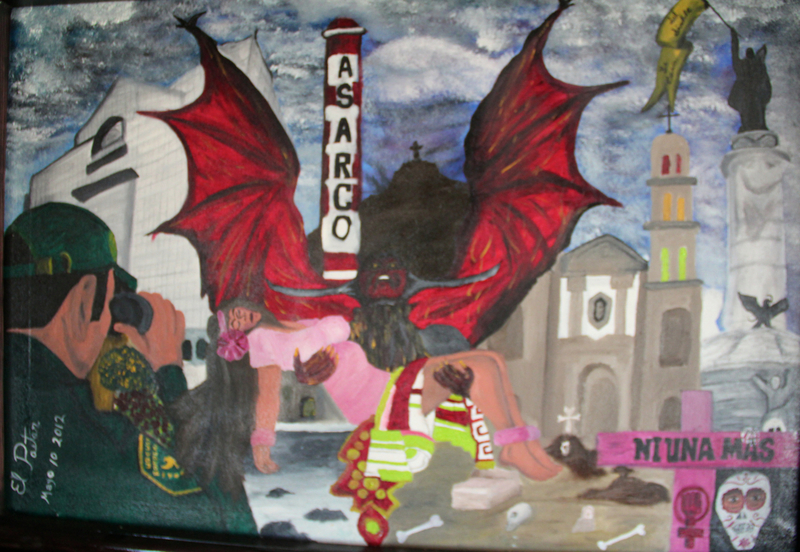 Men who fell prey to the narcos pushing drugs in their barrios, became addicts and arrived deranged. In 2010, when Juárez was the “murder capital of the world,” 10 or more people a day were gunned down. Former President Felipe Calderón’s (2006-20012) military deployment to Juárez spiked violence to levels never seen before anywhere in Mexico. 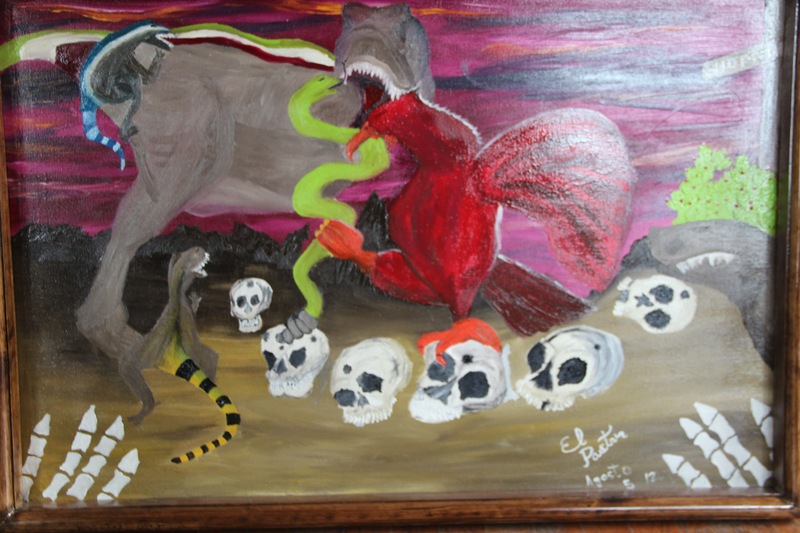 Towards the end of 2014, the average death tally was about 1.2 per day, according to the Diario de Juárez, as reported by the Chihuahua state prosecutor’s office. Today, the daily death count may be down, but the ravages of impunity, poverty and a sense of hopelessness are unmasked when Aitken films the local police force picking up the body of a patient who died after 17 years in the asylum. Ironically, one of the policemen calls Rosales out for not having the adequate professionalism and experience to run the place, “to leave here is to be a coward,” Rosales responds. Not only is Rosales the film’s hero and guide but, by nothing short of a miracle, Rosales is reunited with his daughter, Vanessa, who he last saw when she was five years old, over 20 years ago. Aitken films their reunion, adding yet another layer to the film and to Rosales’ character. Aitken happened to be the catalyst in this father-daughter reunion after he posted information on Rosales’ whereabouts on the Internet. Rosales emerges as a full man – a man who lost his family only to regain it, a man who had nothing and is now giving his all, every day, to help a handful of the forgotten people of Juárez help each other overcome impossible odds. Morgan Smith lives in Santa Fe and travels to the border every month to photograph, write about and assist humanitarian programs like Vision in Action, Pastor Galván’s asylum. Vision in Action is a private mental hospital that was founded by Jose Antonio Galvan about 18 years ago. He is a former addict who was deported from the US and then lived on the streets of Juarez until he became clean and decided to dedicate himself to helping the mentally ill. Almost all of his funds come from donations. Smith can be reached at Morgan-smith@comcast.net. It’s a blazing hot July Sunday – 103 degrees – and I’m standing in the desert outside of Pastor José Antonio Galván’s mental asylum west of Juárez. Eight municipal police officers have arrived, most of them carrying automatic weapons. Now two of them pull a woman out of one of their cars. She is wearing only filthy underwear. Her hair is matted. This is Marta. Earlier the police had called Pastor Galván to say that they were going to place this woman with him. She had been living on the streets of Juárez and no other facility would take her. Fortunately, Sunday is when Dr. Vicente Pantoja, Galván’s consulting psychiatrist visits so he is able to assist. Nonetheless, when the police tell you to take someone, you do it. There’s no negotiation. As for Pantoja, he is one of only eleven psychiatrists in Juárez, a city of about 1.5 million. Earlier, Pantoja talked about the differences between our mental health system with its rigid rules about things like the interchange between staff and patients and the Mexican system with its heavy reliance on simple human contact. I see this when Pantoja arrives and the patients rush over to hug him just as they do with Pastor Galván. I see this when they comfort each other. “Es como una familia aqui,” Pantoja says. Several patients take Marta into the facility and soon a new Marta appears. She has been bathed by several of the women patients, wears a clean blue smock with little fish on it and her filthy, matted hair has been shaved. A male patient named Benito is gently trimming her long, cracked, dangerous looking fingernails. When he points to her broken, torn toenails, however, she shrieks and runs across the courtyard to a cement bench in the shade. “Let her calm down.” Galván says. With her shaved head, wide shoulders and thick tattooed arms, she looks like a wild animal. Finally a tiny patient named Elia approaches, sits next to her and puts her hand on her shoulder. Elia has a speech defect; the only word I can understand is “foto” because she likes to be photographed. Nonetheless, she has a sense of when other patients need consoling. Her older sister, Leticia – smaller and even more incoherent – joins her. They lean towards Marta who has covered her face with her hand. We can see how well trimmed her fingernails are now but we can’t see her expression. We watch in silence as the minutes tick by. Is she about to explode? She is big enough to hurt both Elia and Leticia. Finally her hand comes down and we can see her face. She is smiling. Maybe now she’s part of the family. This is what Pantoja was talking about. 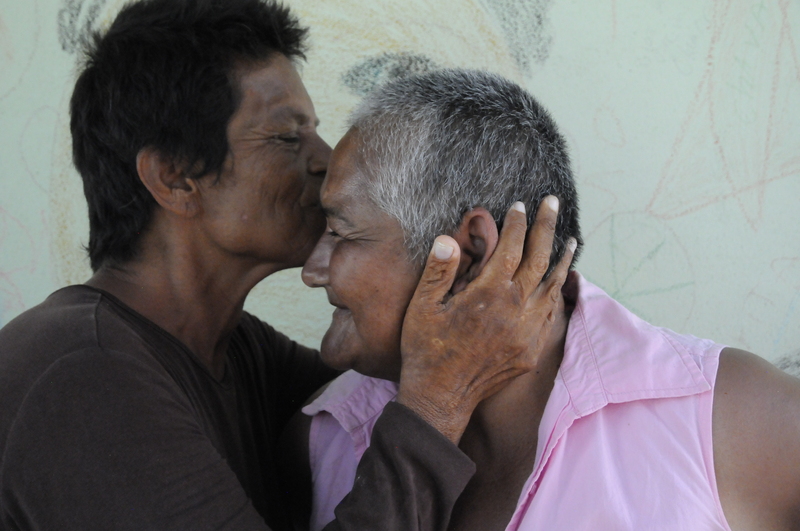 This is the environment that Galván has created, one of caring and affection, an environment of dignity. “I found El Pastor when I was looking for a raped beauty queen. I expected him to be an evangelical fraud and that the asylum he kept in the desert outside Juarez was simply a ploy used in his fundraising. I was wrong. He is an ex street addict, ex-convict and a full time healer in a city of pain. 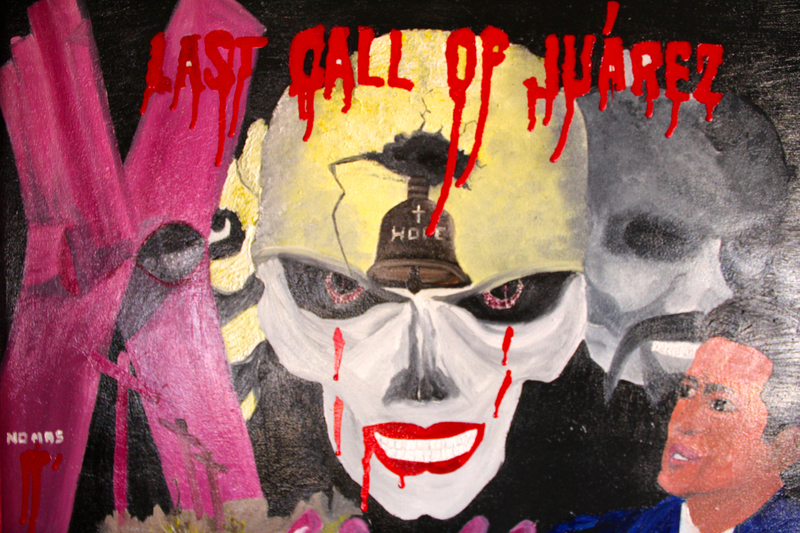 He sells love in a city of death, Ciudad Juarez, demonstrably the most violent city on earth. He expects to be murdered; he prays he will not be tortured first. He built the asylum with his own hands and his care is the only safety net for the severely mentally ill in this place of poverty.